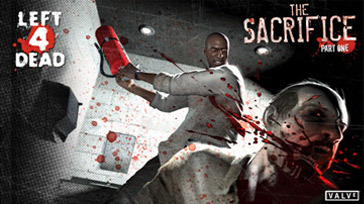 To celebrate Halloween, we are unleashing L4D2 on the world. Starting this Thursday, the entire game will be free to play for the whole weekend. New players can begin pre-loading now. For long time players, it is time to welcome your new found friends and help them survive the zombie apocalypse. For current players, we created a new achievement. Good Guy Nick - – “Plays games with free weekend players and helps them survive a campaign.” Who is a free weekend player? 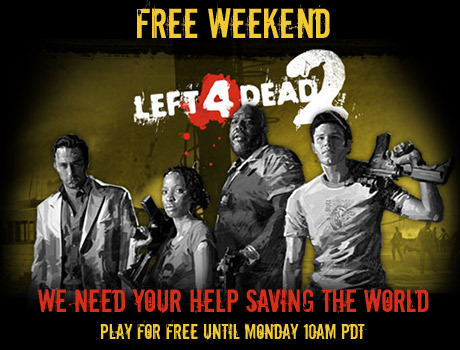 You’re going to have to talk to each other to find out or you could always let your friends know Left 4 Dead 2 is going to be free this weekend and have them join you. Spread the word! It’s the zombie apocalypse, bring friends. 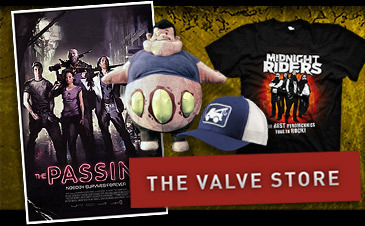 To preload or install the game, you can click this link.